Our lice service at Lice Lifters Palm Beach Gardens is close enough to your family that we make a convenient solution to this problem. 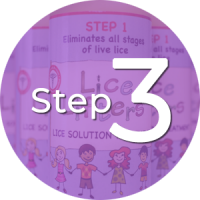 We use a cutting-edge lice treatment process that eradicates head lice quickly, easily and affordably for anyone in your family you think may have them. You need to fill out our contact form first, however, because we can’t do anything for you until we set up an appointment for you to come in to our lice salon. We’ve been helping families just like yours become lice free for years now in the Palm City area. 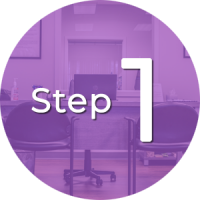 The effectiveness of our treatment hinges on the series of steps we take that constitute our treatment process. After doing a combing head check to verify you or any of your children have head lice, our certified lice technicians will do a meticulous comb-out to remove the lice and their eggs, which are called nits. As a final step, we’ll then soak your hair and scalp with an all-natural killing agent that’s perfectly safe for you and your family but deadly to the lice. The treatment offered by our lice salon is guaranteed to be effective, so we’re worth the short drive to bring in any family members who may have lice. Our certified lice technicians are extremely experienced at spotting lice and their nits and at getting them off your head with a specialized lice comb. 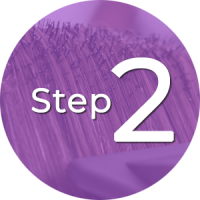 The application of our all-natural killing agent is the final step, not offered by mobile services, that ensures the death of any live lice remaining after the comb-out. The effectiveness of our lice removal process is so impressive that many pediatricians and school nurses endorse and recommend us. Our team at Lice Lifters Palm Beach Gardens can guarantee you that you won’t find any better lice treatment on the market. We don’t stop at effectiveness, though. We also make sure to provide a professional and family-friendly atmosphere at our lice clinic for you and your entire family. There’s entertainment while you await your treatment, and you’ll be impressed with how our friendly lice technicians deal with your children while they’re eliminating this annoying problem for them. A treatment that’s guaranteed to be safe and effective. We only use non-toxic, pesticide-free products. Our treatment is completed in a single visit. We take payments from flex and health spending accounts. A family-friendly and professional atmosphere. A staff experienced at using a lice comb to detect and remove lice and nits. Cable TV, snacks, a children’s play area and movies while you wait. Post-treatment instructions that are simple and helpful. Thorough education on preventing this problem in the future.